Let her know the only “Wild Fantasy” is a skyscraper collapsing from fire, and help us raise the final $7K to put our NY Times billboard in her backyard! As some of you may know by now, NYC CAN announced yesterday that the City of New York has attempted to block the High-Rise Safety Initiative from appearing on the ballot, falsely challenging thousands of submitted signatures, and making other baseless legal arguments against the petition. Now we and the High-Rise Safety Initiative are calling on you to tell Speaker Melissa Mark-Viverito that there are no wild fantasies here. The only wild fantasy is the one she chooses to believe – namely, that a 47-story skyscraper collapsed symmetrically, at free-fall acceleration, from small isolated fires. Please take five minutes today to email the Speaker’s office with this message: The only “wild fantasy” is a skyscraper collapsing from fire. 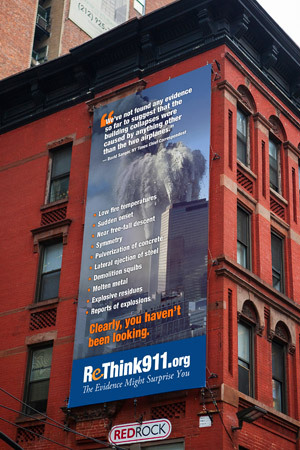 Explain to the Speaker and her staff why a 47-story steel-frame skyscraper cannot collapse from fire, and ask them to watch the 15-minute video Solving the Mystery of WTC 7, which features more than a dozen experts, who harbor not wild fantasies, but irrefutable scientific evidence. 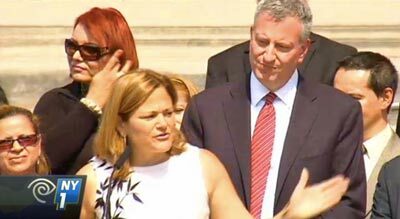 Her email address is mviverito@council.nyc.gov. Kindly bcc us at NYCcounciloutreach@AE911Truth.org so we can count the number of emails she receives. Our goal is 1,000. Please make sure we reach it! 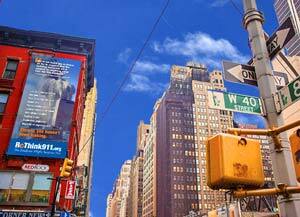 Once you’ve contacted the City Council Speaker, please take two more minutes to make a donation toward our 2014 New York Times billboard, so that we can really turn the heat on in New York City this September. Already we’ve raised over $23,000 of our $30,000 goal. We need your help today to raise the final $7,000. This billboard is our most provocative and powerful one yet. It’s important that we continue to put pressure on the “newspaper of record,” so we are counting on you to chip in what you can. As always, we’re grateful for your generous support!